Hello bakers! On this edition of Winter Recipes, I will inform you on how to make homemade granola bars. 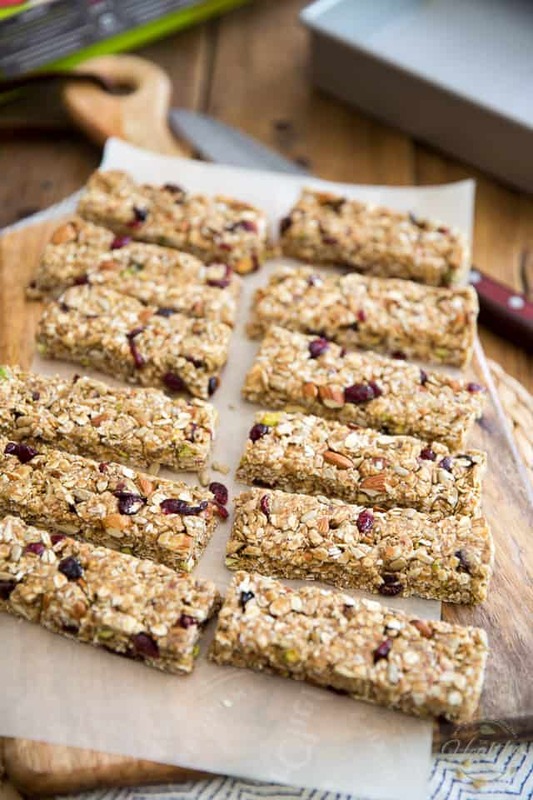 These delicious and nutritious snacks are easy to make and easy to take on the go! Preheat oven to 350. Line an 8×8-inch dish with parchment paper and lightly grease. Set to the side. Put butter and honey in a microwave safe bowl and cover. Cook until melted (about 45-60 seconds). Set aside to cool. Place remaining dry ingredients in a large bowl and stir to mix. Slowly add the cooled butter mixture, constantly stirring to coat your dry mixture. Transfer mixture to prepared 8×8-inch dish and press down firmly. Bake for 25 to 30 minutes until the center is slightly firm to the touch. Remove from oven and cool for 15 minutes then transfer to refrigerator to cool completely. Once completely cool, use sharp knife to cut into eight bars. Store in an airtight container.